Simplest, Safest VPN Service. 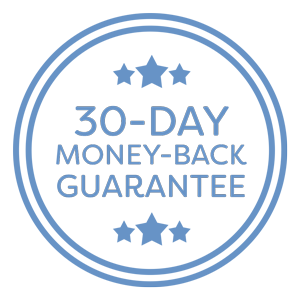 30 Days Risk-Free. Ghost Path is the internet privacy and security solution you've been waiting for. Our no-log VPN allows you to be anonymous online, hide your online activity, encrypt your private data, and stop hackers. Tired of getting blocked from your favorites websites and services just because of where you're located? Ghost Path helps you defeat geo-blocking so that you can watch your favorite TV shows & movies as well as visit your favorite sites, no matter where you are. Ghost Path encrypts your entire internet connection and all of the data that you send and receive, giving you peace of mind and online anonymity. Ghost Path gives you the strongest protection possible. 256-bit AES encryption, DNS/IPv6 leak protection, kill switch, Plex multi-hop connections, and more. We have over 145 servers in over 45 countries, giving you plenty of connection options. Defeat geolocation so you can watch your favorite TV shows, movies, and more... no matter where you are. Stay safe and secure, no matter which device you're using. With Ghost Path you can always connect with up to 5 devices at a time. GhostPath not only has a cool name but it is a very stable and awesome service that I have enjoyed using. GhostPath has exceeded my every expectation. The quality of the service is outstanding compared to other VPNs. Thanks GhostPath! I can now watch my Clemson games even though I should be in the blackout zone. We offer the best VPN service you can get, and we do it affordably. We guarantee you’ll love GhostPath. Try it for 30 days. If you don’t like it we’ll refund you. With Ghost Path there's no risk. If our service doesn't work for you then we'll refund your payment up to 30 days after signup.